A community organisation in Cardiff’s Ely & Caerau wards has been awarded £5,000 worth of support to set up a community-owned shop in what has been described as one of the most deprived areas in Wales, to help tackle access issues to reasonably priced, good quality food. Action in Ely and Caerau (ACE), in conjunction with Food Cardiff, has been selected by community enterprise charity the Plunkett Foundation to be one of just 10 projects to benefit from specialist support in its pilot project, Our Urban Shop. The Plunkett Foundation will now work closely with the groups to help them introduce a community-owned shop, replicating a model that has been hugely successful in rural communities looking to combat similar issues. The project will also provide a much-needed social hub, offering a space for other community groups to meet and will address wider issues in the city such as surplus food redistribution. “Feeding Britain, the All Parliamentary inquiry into hunger, has highlighted the challenges regarding access to healthy affordable food. Working with partners such as WRAP Cmyru, the community-owned shop will act on recommendations in this report to develop a community-led model that can be replicated across Cardiff”. “Community shops are a lifeline for communities, not only acting as a place to buy essentials like bread, milk and fresh vegetables, but also offering those at risk of social isolation and loneliness a place to meet. Community shops are owned and run by the community themselves, often relying on volunteers to deliver the service. They have been transformative for rural communities, with 320 now open and trading across the UK. With only 16 ever having closed, the model offers a sustainable option for communities looking to take control of their own services. 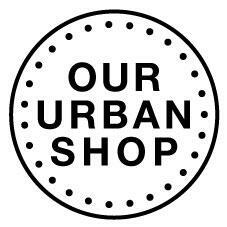 About Our Urban Shop – Following the success of community-owned shops in rural areas, the aim of Our Urban Shop is to trial how to effectively inspire and provide support to urban communities in the UK in order for them to set up their own sustainable community-owned shops which meets their specific needs. The learnings and insights gained regarding the successes and challenges these pilot communities experience will be utilised for the delivery of any future programme of support. The project is fully funded by the Esmee Fairbairn Foundation and delivered by the Plunkett Foundation and Locality. • Advocating and raising awareness amongst policy makers, support organisations and rural communities themselves of the ability of rural communities to take control through community-ownership of the issues affecting them. 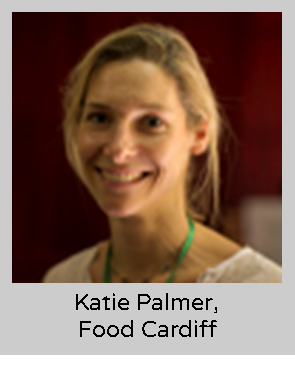 Food Cardiff is a network of organisations that by promoting healthy, sustainable and ethical food as part of a thriving local economy, is striving to improve health and wellbeing and to create a more vibrant, connected and prosperous city. For further information please contact Katie Palmer, Sustainable Food Cities Coordinator.